The life of an online freelancer is a rewarding one that offers so many benefits, like time freedom, massive potential for career growth, and the ability to earn an income doing exactly what you want with people and businesses you want to be working with. As you probably already know, though, those benefits don’t just happen overnight once you make the wise decision to jump into the world of online freelancing. Building a successful, sustainable, long-term freelancing business that will deliver on the hopes and goals that you founded it on takes dedication, perseverance and discipline. While you can start to see financial return for your efforts fairly quickly, it also takes time and consistency to build a thriving business. After all, the things that are usually the most worth doing and that are the most rewarding take time and effort, right? 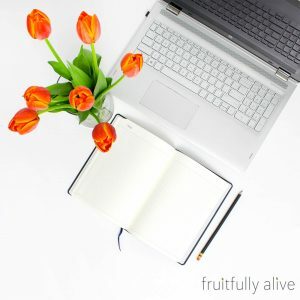 Along the winding path of being an online freelancer there are going to be times when the energy and motivation just flow and come so easily, and others where they may seem nowhere to be found. It’s a simple truth of building a business, and of life in general really. What’s crucial to your success in moving through these times and staying the long-distance course of your business is acknowledging and accepting that these times will happen, as well as having some tools in place to manage a dip (or a complete disappearing act) in your motivation. 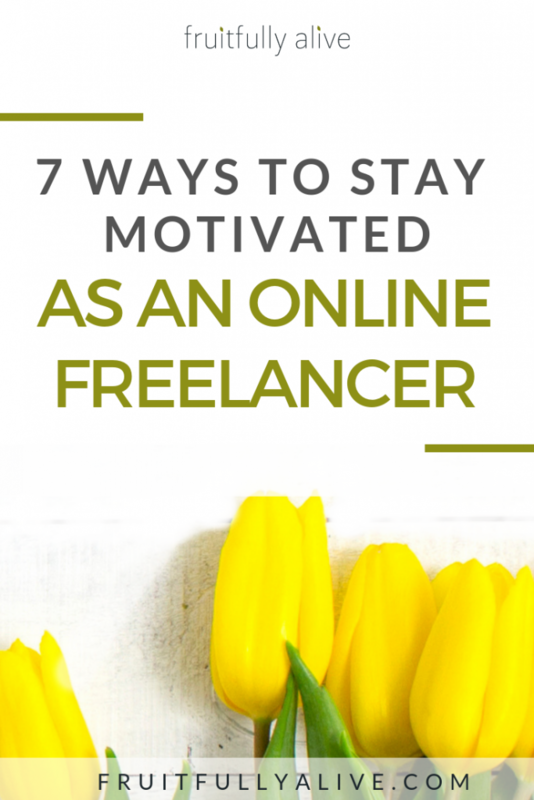 This post will give you some ways to stay motivated as an online freelancer, particularly in those times when it seems the most difficult. For most people, motivation isn’t something you can just “turn on” like a light switch. It’s easy to get into a cycle of frustration and beating yourself up because you’re finding it difficult, or impossible, to charge head first into your day and make magic happen with your business. Usually, this cycle just makes the problem worse. Feeling like you’re not seeing results, or seeing them quickly enough, in your business. Being out of balance with work and your “other” life, like friends, family, and your health. Being physically exhausted due to long or odd hours — it can be easy to pour yourself into your business and lose sight of your basic needs sometimes. Feeling isolated or lonely in your work, either because you’re working alone all day or your friends and family don’t understand what you’re doing, or both. Maybe none of these, sometimes for whatever reason it’s just hard to stay motivated. Once you’ve gained some understanding of why it’s feeling difficult to stay motivated, you can put one or some of these tips into action and get yourself back on track. Whether your motivation is low or not, personal development should be an integral part of your work week. In essence, you should grow yourself to grow your business. When you’re lacking motivation, however, tapping into some personal development materials can be a quick and very effective way to get refocused and reenergized. There are many different ways you can engage with motivating personal development materials including reading, listening to audio like podcasts, or by watching video. There are also a lot of free personal development and motivational resources on the internet. 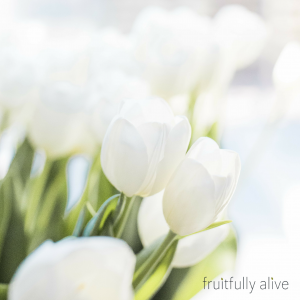 When you’re caught up in the day-to-day of your business and working hard, it can be easy to lose sight of where you’re headed, especially if you feel like you’re not seeing the fruits of your labors as fast as you’d like. As a result, motivation can sometimes wander off. At times like these it’s an excellent opportunity to revisit those initial goals you set and remind yourself why you’re doing what you’re doing. Hopefully along with those goals you also wrote down your “why” for starting a business in the first place and can become reenergized around achieving those goals. It can also be a good time to revisit your business plan and take a look at whether you need to make any adjustments to your strategies in order to move toward your goals more efficiently. Taking some time to be introspective about your business and perhaps do some writing or even mind-mapping can be just the thing to get your head back in the game and find your motivation again. If the “big picture” of your business is feeling overwhelming and the result is low motivation to do anything, try making short-term, actionable goals. Perhaps you’re trying to eat the elephant all in one bite, and breaking things down into small, bite-sized pieces will help things feel more manageable. It also creates an achievable way to experience success, to check something off the list, and this can be very motivating to move on to the next thing. Sometimes a lack of motivation comes from a place of discouragement or lack of belief. Whether it’s friends who are also freelancers or entrepreneurs, or people in your life who support and believe in you, times like these are a perfect time to reach out and connect with someone who can listen to and encourage you. Freelancing can be a lonely journey sometimes. It’s worthwhile to seek and cultivate relationships that can help keep you on track when you need it and remind you that you’re capable and amazing when it’s hard to convince yourself that you are. A lack of motivation can come from a more “systemic” place, like poor diet, a lack of exercise, irregular sleep, or just plain brain chemistry. Getting back to basics, in a sense, and refocusing on the core of your business, you, can be an excellent way to regain your drive and motivation. Your diet — Are you consuming things that contribute to having good energy and feeling well? Are you drinking enough water? Even though these may seem simple, sometimes we don’t realize how bad we feel until we feel better. A shift in your nutrition habits for the better can have a profound impact on your mindset. Your activity — Are you mostly sitting at a desk looking at a computer for long hours at a time? Perhaps it’s time to schedule some exercise into your day. Exercise has a myriad of benefits, but improving brain chemistry and the ability to focus are especially relevant when it comes to motivation and your business. 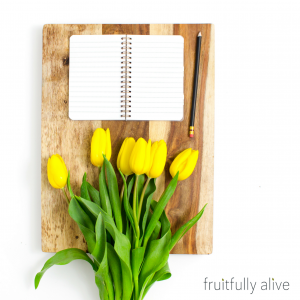 Your fun — Do you have time for things that you enjoy structured into your day? Are you practicing good self care? Remember that you got into this to create flexibility in your life, not to be a slave to your business. It’s human nature to be motivated by something to look forward to. Try creating a “reward” for yourself when benchmarks and goals are met, like that new pair of shoes or cool tech gadget you’ve had your eye on. It may also be a good opportunity to schedule something to look forward to, like a vacation or fun activity. Seeing a date on your calendar and knowing that you’ve got something coming up can help bring motivation back to get through those days when it’s tough to find. Lastly, your declining, or missing, motivation may be telling you something: That you need a break. While it’s true that building a successful business means working hard and at times, eating, breathing and sleeping it, it’s also true that running hard in your business can burn you out and cause your motivation to take a hit. If it’s possible, consider scheduling some time away, even if it’s just a few days. While you wouldn’t want to do any serious damage to your business or neglect clients, there are ways to manage your tasks so that you can take time off and really unplug. It may be just what you need to get your motivation moving again. The road to “arriving” in your online freelancing business isn’t a straight one. There are milestones of success along the way, accompanied by valleys of challenge. The important thing is that you continue on the path, recognize that there will be difficult times, and know that something worth having is rarely, if ever, easily gained or gained overnight. You’ve already accomplished so much by jumping into the adventure of online freelancing. With the right resources and information you will get through those challenging times when motivation eludes you. Have you experienced times of low motivation in your business? How did you manage it? Let me know in the comments below, I’d love to hear about it.